High-density populations and fuel transport costs means islands must get creative. Here's how they can do it. Over 10% of the world’s population live on islands. Islands showcase amazing biodiversity, and provide unique economic value as hubs of international trade. Some of the world’s most densely populated places are islands, such as Manhattan, Hong Kong and Singapore. Even small and sparsely populated islands are strategically important, and are fiercely contested even today – just look at the controversy over China’s artificial islands in the South China Sea. 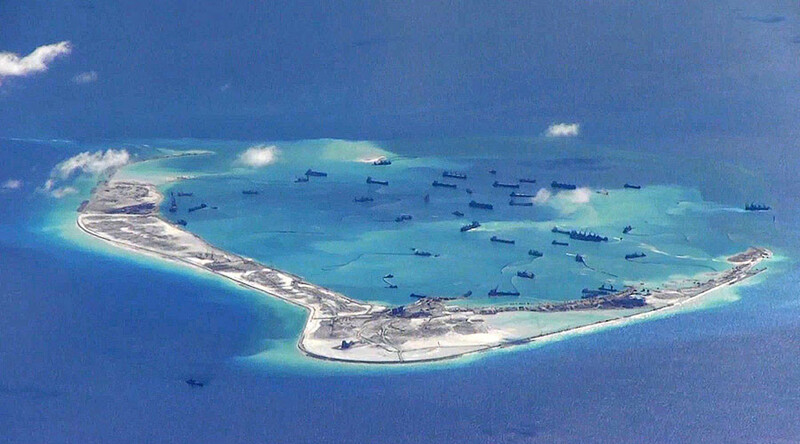 Subi Reef, Spratly Islands in the South China Sea. But island life comes at a cost. Their isolation can be a barrier that increases cost of access to resources and international markets. Their ecosystems are vulnerable; over half of recorded animal extinctions since the Age of Discovery occurred on islands. And many islands are particularly susceptible to rising sea levels and natural disasters. A sad example is Puerto Rico’s recent power crisis, after a hurricane wiped out the transmission lines. Three months after Hurricane Maria, a third of this island of 3.4 million people still has no power. Destruction in Roseau, Dominica, after Hurricane Maria. 2. Fuel needs to be shipped in. 3. Isolation results in fragile electricity grids. It follows that the power density of energy sources is incredibly important on islands. The scarcity of land means any electricity plant’s areal power density (W/m2) – AKA, the power produced per square metre of land mass – needs to be high. Similarly, since electrical energy is produced via conversion from a primary fuel, that fuel needs to be shipped to islands, so the energy density of that fuel affects its practicality and transportation cost. In addition, the smaller network of electricity grids on islands makes it more unstable, and sensitive to intermittency, due to the smaller number of producers versus users linked by the network. All of this contributes to unique challenges in powering an island economy. How are islands powered today? Let’s start by looking at the cleanest example: New Zealand. The South Island of New Zealand’s has a population of just over 1 million people, and it is almost entirely powered by renewable energy. However, the credit does not go to new renewable technology. Instead, the South Island is dominated by 98% hydroelectricity. This makes New Zealand a virtuous but impractical role model. Hydroelectric power is wonderful if your land is blessed with the right geology – with rivers and valleys suitable for hydroelectric dams. Unfortunately, most other islands don’t have that luck. Notably, many islands produce electricity from oil. This is highly unusual, because oil is the most expensive hydrocarbon. Typically, it is too valuable to be used for power generation. Traditionally, coal-fired power plants have dominated electricity generation over the last century, because the price per energy contained in coal was historically lower than other fuels. Recently, due to the “shale revolution”, falling natural gas prices have made gas-fired power plants more economically attractive than coal. But, this picture changes for islands. Coal is best transported by trains. When coal is instead transported over the sea to international markets, the transportation cost accounts for a large share of its total delivered price. Natural gas is best transported by pipelines, but because of its physical state, it takes up a lot of space. So it is impractical to store natural gas on ships unless the gas is liquefied in special facilities to massively shrink its volume. Out of all the fossil fuels, oil is the easiest to put on a ship. Therefore, islands have much higher rates of electricity generation from burning precious oil. Again, this illustrates the difficulty of providing power to islands. Solar and wind are very promising options for island power, because they directly circumvent the need to ship fuel to the island. Nature transports light and wind to our solar panels and wind turbines for free! However, to make them work on a very large scale, we’ll need to address the enhanced difficulties of wind and solar in terms of land use and grid fragility. Firstly, once we consider all attributes, such as the capacity factor, solar and wind have power densities of 10-30 W/m2. This is up to a hundred times smaller than conventional power plants. Nevertheless, this increased demand for land could be acceptable for islands with deserts and arid non-productive regions. But for islands with important ecologies, solar and wind farms will need to be managed in conjunction with consideration for natural habitats and agriculture. We shouldn’t automatically chop down vast swaths of forest, nor remove farms for food and crops, in order to make land for renewable power generation. In this regard, wind may be more attractive than solar for utility scale island power, if we can also use the land occupied by wind turbines for agriculture. Secondly, the intermittency of solar and wind power is a much greater issue on islands. Lacking connection to larger mainland grids, islands have more difficulty balancing the variable production of electricity from renewables. Unsurprisingly, the most important innovation to make solar and wind work on islands is batteries. In particular, we’ll need cheaper batteries with long lifetimes that can withstand many cycles of charging and discharging. So, policy makers in favor of higher renewable penetration for island economies have an even more urgent need to support battery development and deployment. 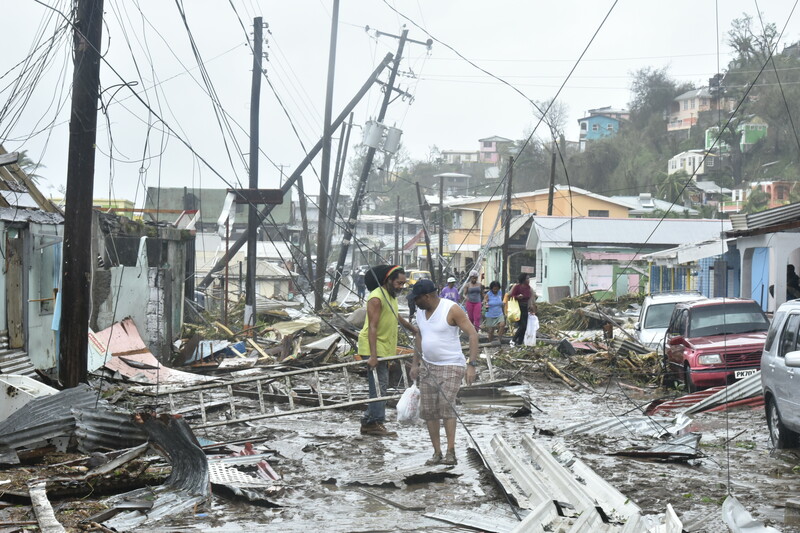 And, in light of islands’ increased exposure to extreme weather, the best future option may be to deploy robust micro-grid systems, comprised of cheaper batteries, renewable power generation, and distributed on-demand generators. Power generation from natural gas can be incredibly efficient. By themselves, gas turbines are about 30% to 40% efficient, comparable to a steam turbine. However, when we are burning natural gas, we can do a combined cycle of a gas turbine and steam turbine operating in tandem, with the steam turbine producing extra power using the high-grade waste heat from the gas turbine. This combined cycle can reach an impressive total efficiency of 50-60%. The problem is getting the natural gas to the island. Today, the conventional way of shipping natural gas is using a liquefied natural gas tanker, which requires expensive and specialized sea ports. In the future, one interesting alternative is to build underwater pipelines for gas to any island within a thousand kilometers of a mainland. In Europe, Europe and the North Sea already has several offshore subsea pipelines, with lengths well exceeding 500km. 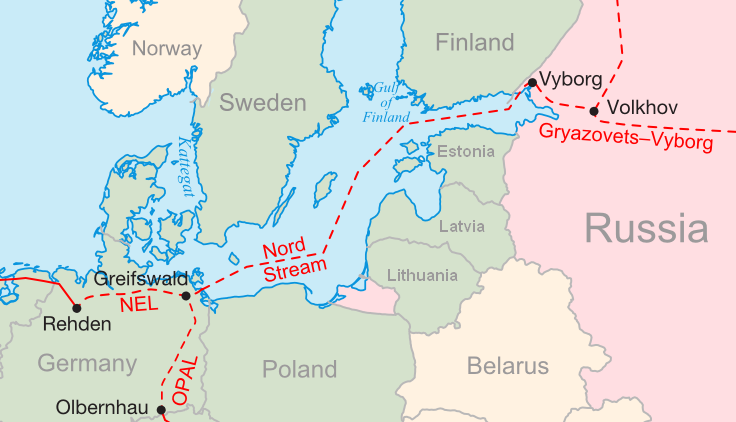 Illustration showing the route of the Nord Stream offshore gas pipeline. If the island is within a few hundred kilometers of a major land mass, we can now use undersea power cables to transmit electricity from the mainland to the island. Unlike the land-based alternate-current transmission system, these undersea power lines tend to use high-voltage direct-current technology. For example, Majorca recently installed a high voltage underwater power line called Cometa. In the past, geothermal energy was an insignificant part of electricity generation. This is in part because its power density is too diffuse, about only 0.1 W/m2, and it is prohibitively expensive to harness diffuse energy sources. However, many islands are formed via volcanic and active tectonics, so they have exceptionally high grades of geothermal energy. Iceland is one of the most famous examples. 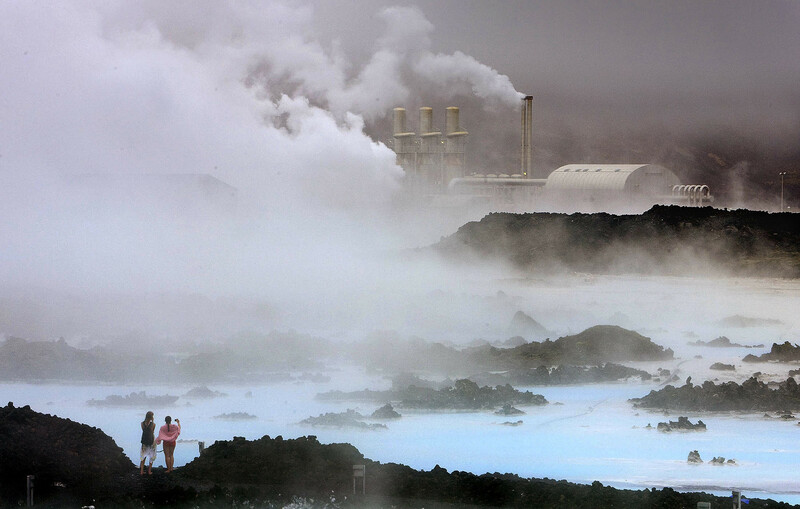 For these islands blessed with superior geothermal energy, their natural geological advantage, coupled with new drilling technologies to access hotter heat sources at deeper depths (see, for example, GA Drilling and AltaRock Energy), may be enough to introduce geothermal power generation as a major option in the future. The Svartsengi geothermal plant near the Blue Lagoon, Iceland. Nuclear power is a slam dunk for island power generation from a pure technological standpoint. Nuclear fuel has incredible power density; for example, Uranium 235 has a million times more power density than fossil fuels. This means it is easy to ship in enough nuclear fuel to islands. Moreover, many of the newest Gen IV nuclear reactors under development are passively safe. Therefore, looking forward, nuclear should be given serious consideration as a zero-carbon source of power generation. To end this post with the most futuristic and playful option: we could build floating nuclear power plants for island power. These are nuclear power plants built on marine vessels, that float on open water and be towed to any location where the power is needed. This is not as crazy as you’d think. Today, hundreds of military ships and submarines are already powered by nuclear reactors. And the nuclear navy in the USA has had zero nuclear accidents over half a century. So in the future, don’t be too surprised if your power plant is on a boat offshore! This article was written as part of the ongoing work by the Global Future Council on Energy; a group of leading academic and industry experts providing thought leadership on the most critical issues shaping the future of energy.